Andy Pye examines how sustainable power is making its way onto the ocean waves with a new generation of hybrid and electric marine vessels. Hybrid and pure electric marine vessels (EVs), with electric propulsion some or all of the time, have been around for over 100 years. The electric boat Lady Lena dates from 1890. Currently, the market for electric and hybrid watercraft is still significantly low with about 1-2% of the addressable market. But over the last 10 years shaft-driven shipboard mechanical power transmission has been increasingly replaced by electrical power. 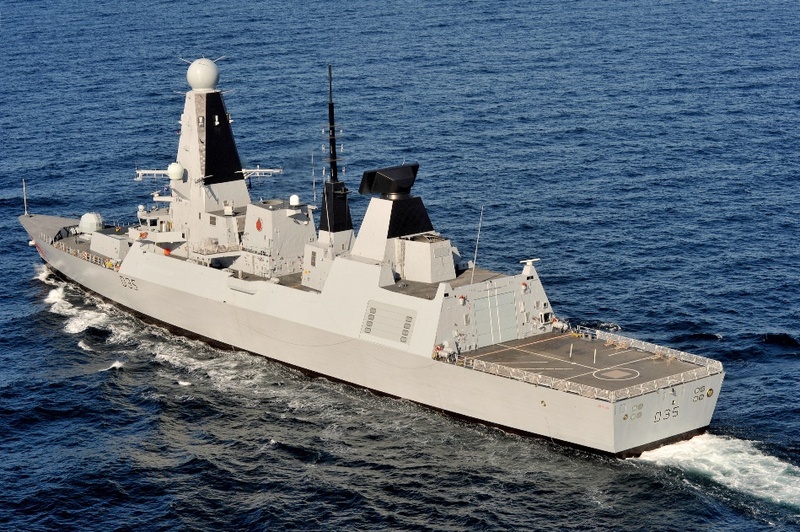 For example, both the Royal Navy Type 45 destroyer and the Queen Elizabeth carrier are electrically driven. The prime mover is used solely for generating electricity, which is then distributed to various motors, including those driving the propeller shafts and other consumer loads. The logic behind all-electric ship design is two-fold. Firstly, ship layout – a large motor does not need to be in the middle of the ship, which is better used as prime passenger and cargo space. Secondly, energy efficiency: traditional ships could have up to four diesel engines located mid-ship running at low power under normal operating circumstances. This often makes them inefficient. By using smaller diesel engines together with a couple of gas turbines, the right number of prime movers can be fired up to suit power demand, whether it is a fully-laden oil tanker afloat at sea or stationary at port. Analysts at IDTechEx have issued a new report, Electric Boats and Ships 2017-2027, looking at this fragmented but often highly profitable and growing sector. There are already over 100 manufacturers of electric boats and ships. The report finds that the market for hybrid and pure electric boats and ships will rise rapidly to over $20 billion worldwide in 2027 for non-military versions. Recreational boats is the largest and fastest growing electric marine market in sales number, followed by underwater leisure and autonomous underwater vehicles. On-water commercial marine category is currently the largest marine EV value market. Leisure craft on inland waterways, notably in the USA and Europe, will become the largest sector as more places from Germany to India ban internal combustion engines or, as with SunMoon Lake in Taiwan, the operators unanimously agree to go clean and quiet. Huge environmental pressures are making owners of industrial and commercial seagoing craft address the issue of propulsion. According to the report, one large ship can emit the global warming carbon dioxide of 70,000 cars, the acidic nitrogen oxides of two million cars and the carcinogenic particulates of 2.5 million cars. All-electric systems consist of an electric motor being powered by a battery pack. Hybrid electric systems consist of a fuelled engine and energy storage used to propel the craft sometimes (parallel hybrid) or to charge the battery (series hybrid). Traditional “electric drive” where there is no substantial battery and therefore no pure electric mode or even downsized engine is mainly suited to large craft: it is seen in diesel-electric and nuclear-electric ships and submarines. Although the marine market is not the largest addressable market for Li-ion batteries, it is expected to be a major secondary value market due to the battery typically being unusually large, 1MWh not being unusual. Technical limitations facing such Li-ion batteries include energy and power density, life, charge rate, size, and weight. Other factors hindering the fast adoption of electric and hybrid marine technology are the ability to maintain and find replacement components for such propulsion systems. Beyond new electric craft, there is already a substantial and growing business in retrofit of hybrid electric ferries and other ships with pure electric or hybrid electric powertrains. There is also potential to sell hundreds of thousands of pure electric outboard motors yearly as they become more affordable and more energy harvesting is provided on the craft to charge the batteries, improving range. For five years the MS Nadorias serviced the inland waterways of the Netherlands, between Groningen, Amsterdam and Rotterdam. Originally it was powered by single diesel engine with a conventional direct drive to a single propeller. Now, on board the MS Nadorius, the huge potential in converting to hybrid is no longer a vision but a reality. A hybrid retrofit has given this inland container carrier a huge 15% saving not only in fuel, but also in CO2 emission. Since the main diesel engine now runs much less, there is 60% less maintenance cost and higher uptime than for its identical sister ship. With the conventional direct drive configuration, there was a mechanical connection between the diesel engine and the propeller. So, the propeller speed is directly proportional to the engine speed. This means there are many situations in which the engine does not operate at optimum efficiency. This inefficiency is greatly reduced by the dieselelectric drive, because there is an electric transmission between the generator and the propeller. Electrical transmission allows the speed and pitch of the propeller to be optimised for best efficiency. The vessel is now powered by a diesel-electric hybrid propulsion system from HSP using a Vacon NXP Liquid Cooled Drive and two Danfoss drives. A new main switchboard equipped with Vacon NXP Liquid Cooled Drives was installed in the engine room. To eliminate to need to run a separate generator for the ship’s 50Hz on-board grid when sailing, they also built a Vacon NXP MicroGrid inverter into the switchboard. The purpose of this unit is to convert the variable frequency from the new generators to a fixed 50Hz clean ship’s grid. This is much more fuel-efficient than operating a diesel generator at low load with a poor fuel efficiency. As another positive side effect, the ship is extremely quiet, because the two generators are located far away from the bridge and accommodation area. “We went from a noise level of 60dBA in the wheelhouse to just 42dBA, which is really quiet,” adds van der Meer. The retrofit had its challenges however. One of the main hurdles was finding space in the engine room. Koedood Dieselservice BV and Hybrid Ship Propulsion BV (HSP) performed the retrofitting project. They solved the space problem by replacing the original main engine with a new compact system comprising new engine and a high torque shaft motor. The two new generators were placed in the bow of the ship and the electrical power was fed back to engine room at the stern through two new cables. The generators can run either as single units or in parallel. In drilling or cable-laying vessels, where anything up to a mile of cable has to be paid out over the side during passage. The weight of the cable is so massive that the drive motor has to reverse its function from motor to generator, in order to brake the cable reel. Air-cooled resistors have heating elements enclosed within a fan-cooled cabinet. This makes them suitable for deck mounting, often on anti-vibration mounts. An important benefit of using an electric drive is that reliable systems of regenerative and dynamic braking are available to complement or replace traditional mechanical braking systems. The advantages of electric braking include, just as in cranes, lifts, hoists and conveyors, the control, reliability, mechanical simplicity, weight saving and, in certain cases, the opportunity to make use of the regenerated braking energy. Cressall’s new EV2 advanced water-cooled modular resistor range for low and medium voltage applications is especially designed to function in severe environments, like the ones marine systems have to function in. This patented design encapsulates and completely separates the resistor elements from the coolant. A typical 1MW fresh water-cooled brake resistor for marine use is basically a 10 foot tube with large heating elements similar to those found in common household kettles. The braking electricity that is being regenerated powers these elements. Most ships have a chilled water system, which circulates cool water throughout the vessel, used for both air conditioning and equipment cooling. There is also a sea water variant with construction and ratings similar to the fresh water designs, but with titanium-sheathed elements in higher-grade stainless steel vessels, suitable for continuous duty in hot sea water. The problem is that heating elements cannot be used here at an operating voltage of much above 1.5kV, whereas medium voltage drives will typically use a 3.3kV supply. Cressall’s EV2 resistor is not limited by this restriction. This is a 25kW unit available as a single unit or as a block with a common cable box attached to 250kW braking power input using a common water supply. Cold water comes in one end and hot water comes out the other. The EV2 has the advantage of higher operating voltage, lower weight and compactness, and is therefore ideal for marine applications. What are the benefits of electric marine vessels beyond energy? * River boats: silent study of wild life. * Ski boats, record breaking: best acceleration. * Leisure submarines: fun, independence for anyone. * Military: little or no heat or sound signature attracting missiles. * Energy independence by harvesting sun, waves, tide, wind etc. is easier. * Workboats: provide electricity at destination for equipment and disaster recovery. * Tugboats: maximum power from stationary and holding position more precisely. Lowest up front cost for small vessels and potentially lowest cost of ownership for most vessels. * Saving planet, reducing deaths & sickness of humans and wildlife from local air and water pollution. Andy Pye is a graduate of Cambridge University and has had a high profile career in the technical press as well as being a pioneer in web publishing.